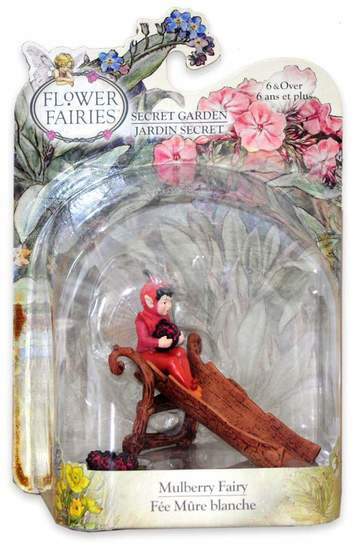 Flower Fairies have been around since 1923. That is when Cicely Mary Barkers published her truly original book of drawings. The book contained botanically accurate drawings of flowers, accompanied by Fairies inspired by her loved ones. These Fairies have become beloved ever since by both adults and children all around the world inspiring a book series as well as the Flower Fairies Secret Garden. Now you can bring the beloved Fairies from the page and into your home with these beautifully crafted figurines and decorations! 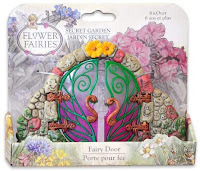 Create your own magical garden with a secret fairy door, entering into a fully decorated garden including trees, stepping stones with inspirational wording, and occupied by beautiful fairies. So much fun for both kids and aduts to indulge in, you can make any space in your house a home to the fairy realm with ease. 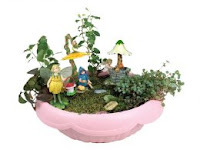 I made my fairy garden into a centerpiece for my table (I got this amazing mushroom lamp from Cracker barrel and the rest is history) and had such fun placing the pieces just the way I liked them. It brought back memories of decorating a doll house- only I didn’t need the actual doll house to enjoy it. This is one of the appeals of this set. It stirs up that whimsical feeling of wanting to immerse yourself in a world of your own creation- something that stays with us no matter how old we get! After it was set up I started leaving little notes in the mail box which opens and closes (A feat not easily done just so you know) so that when my niece visits she has a little message from the fairy realm! She has even taken to leaving thimbles of milk for her little fairy friends! The Pieces are `made of plastic so I do not have to worry when she climbs on the chair and starts playing with them- even though my inner ocd wants to put them back the way they are (remember sharing is caring!). I could not love this idea, or these beautifully crafted pieces more! I cannot wait to buy more to make an even bigger Fairy Realm for the whole family to enjoy…even if that means they cannot eat on the table! Right Now There is a 20 percent sale on First time orders Check it out! 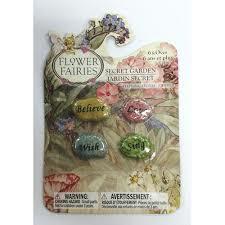 Thank you so much for the amazing opportunity to review Flower Fairies!